A collection of rugs outdoor defined by a contemporary taste, which combines understated refinement and a natural look. Produced on hand looms ATLAS rugs offer the highest outdoor performance, while also preserving intact their soft feel and appearance. 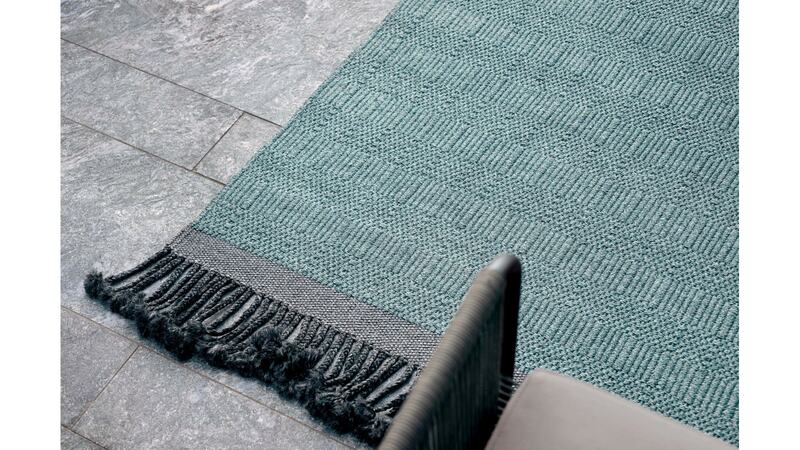 The rugs of this collection are characterized by a solid colour stretch with side bands features of a contrasting colour and with intertwined fringes.